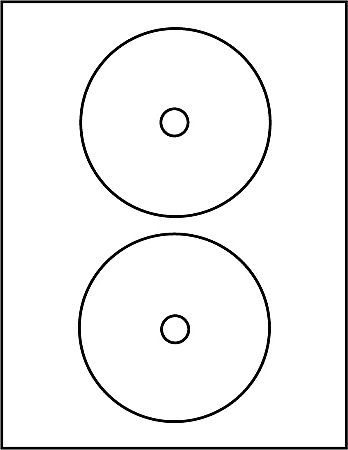 Two disc labels per 8 1/2" x 11" sheet. These photo quality DVD CD Blu-ray labels work great with color laser printers. See template page for free templates. See software category for free software.